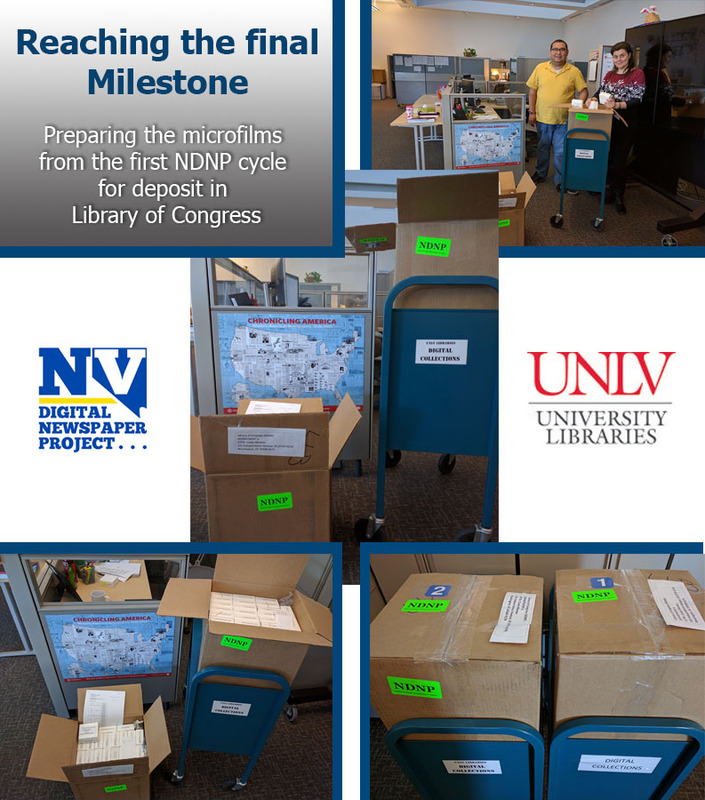 We are very excited to share that today we are mailing out to the Library of Congress the microfilm reels from the first NDNP cycle (2014-2016). With this we have officially completed the first cycle! These two boxes represent two years of hard work and collaborative efforts of all the great Nevada Digital Newspaper Project team members! This is the time to warmly thank all the wonderful people involved in this significant digitization project: Cory Lampert, Jason Vaughan, Peter Michel, Jeff Kintop, Dana Bullinger, Melissa Stoner, Amy Check, Marina Georgieva, Oscar Giurcovich. Thank you, friends, for your devotion to the project and for the great contributions you made! We also want to thank the awesome partners from the Nevada State Library and Archives for their significant contribution in duplicating the microfilms and also for their great partnership! Thank you Cynthia Laframboise, Bobbie Church and John Warren for your professionalism and dedication!